When not caring for patients at one of his Utah pediatric dental practices, Dr. Jason Horgesheimer dedicates time to helping create atmospheres in which they feel comfortable during their treatment. 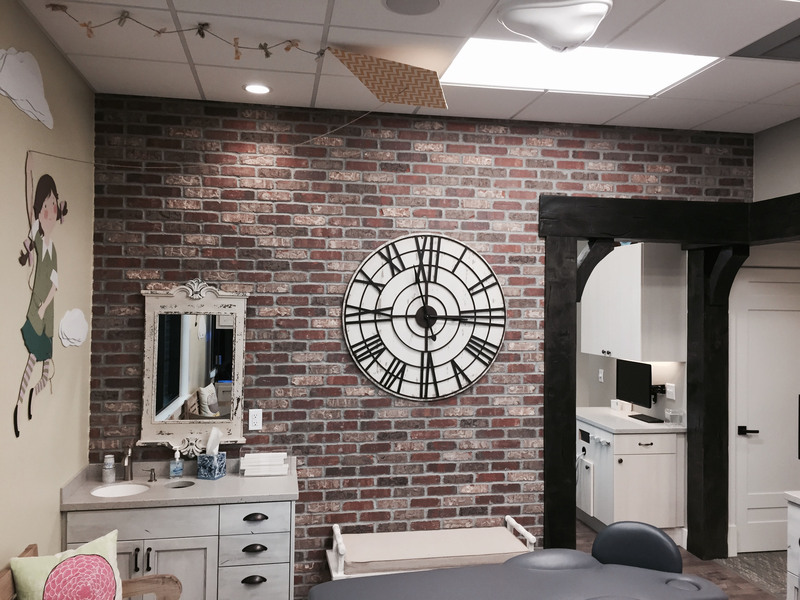 He recently worked in tandem with Benco Dental’s CenterPoint Design team to construct a practice – South Davis Pediatric Dentistry in Bountiful, Utah — that offers unique touches to put them at ease and create a sense fun. Vintage bicycles, three-dimenstional wall and ceiling art (a kite with tail), a calming color palette and whimsical finishing touches add to the effect. To (literally) bolster the classic cottage details design theme: custom beams. With beautifully pronounced grain pattern, deep grooves, prominent knots and more, the look and texture of heavy sandblasted beams will enhance any design. According to their creator, the faux wood beams, made from durable polyurethane, offer realism and strength without sacrificing quality. Their perfectly replication gives a highly realistic look while remaining lightweight. Unlike the real thing, this simulated wood beam will withstand warping, cracking, checking and pests while looking like new for years to come. Since they’re also weatherproof, that means you can easily use them outdoors as an exterior accent as well. “The beams you see in the waiting room and hallways are from http://www.fauxwoodbeams.com They come prefinished in a wide variety of styles and wood species. Or you could have them custom painted,” said CenterPoint Designer Megan Chuzas.